A speculative artwork for the hedgehog idea I'm playing around with which I figured could double for Illustration Friday this week. 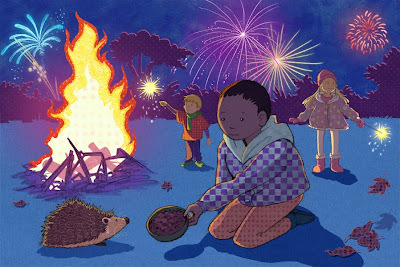 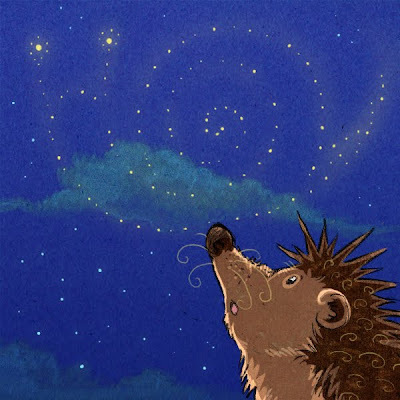 Bonfire Night - an exciting atmosphere for children but not always so great for hedgehogs (remember to check bonfires before lighting them :) ) Luckily this little hedgehog has a friend to help him out and feed him. 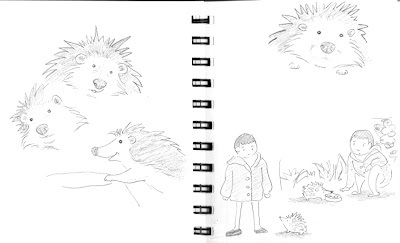 Just some character design stuff. 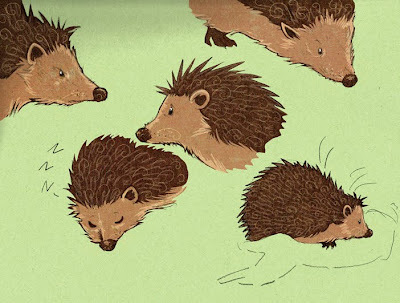 I've had a bit of a break while I focused on other things but I'm now back to drawing hedgehogs. 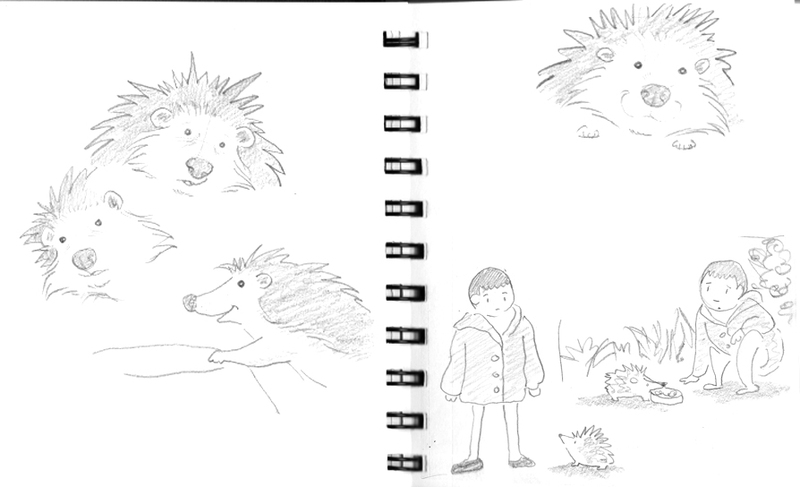 I've not done much artwork lately, but to prove I'm not too lazy, here are a few initial sketches for a hedgehog related project I've just started work on.